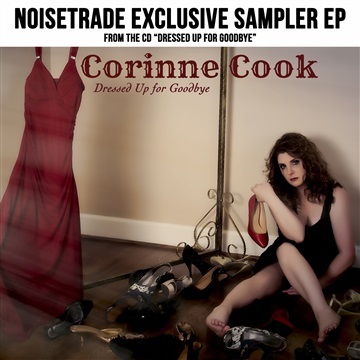 An emerging contemporary country artist who deeply inhabits the emotions of every song she sings, The recent winner of the NIMA (Nashville Industry Music Awards) winner for Song Of The Year for her duet "I Don't", Corinne Cook went all out on the cover of her latest album to show what it’s like to be Dressed Up For Goodbye. She’s sitting on a hardwood floor, partially dressed, with a bunch of shoes sprawled before her, a beautiful red dress hanging there. Reflecting the lyric of the heartbreaking ballad title song, she knows her lover is going to break up with her – but she’s going to go through the ritual of looking her best and put on the dress one last time. He used to want her to take it off, but this time, because “there’s nothing quite like getting dressed up for goodbye,” it’s staying on.